Daryl Johnson (Worcester Park, United Kingdom) on 7 July 2010 in Architecture and Portfolio. ...the shrine's torii gate is the famous sight that greets visitors to Miyajima island, and is, of course, what the schoolchildren in the previous few days' images were taking photos of. Great composition, nice and rich colours! unexpected view of this famous torii! simple & effective! Love the splashing colour of the torii! Simply wonderful. Well done indeed! The red color is just so perfect in a near clear white background!! I just find those torii beautiful. 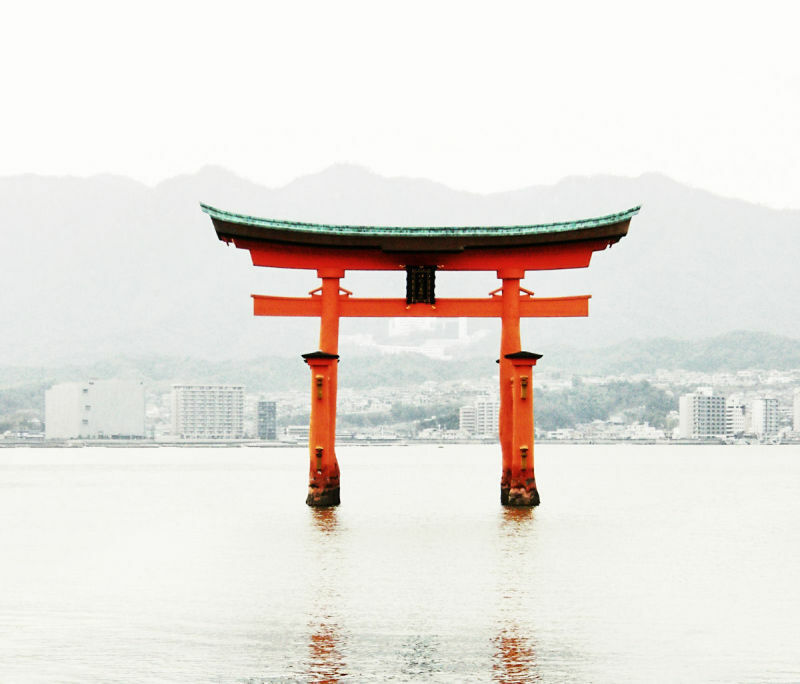 A very cool shot of this elegant "floating" torii. really beautiful red on white. it's spiritual. They have a most impressive shape these torii, wherever I find one...it thrills me!